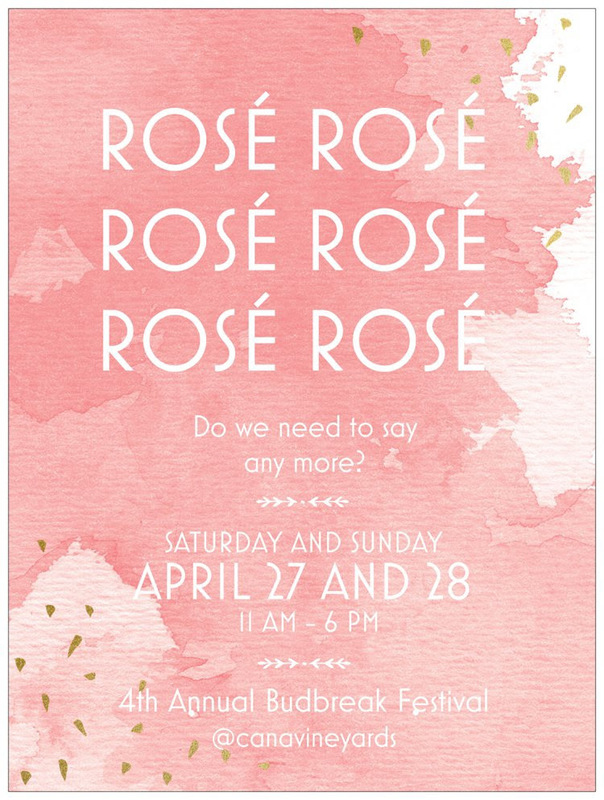 If you loved our best-selling 2017 Rosé, come visit us on April 27 and 28 for our 4th Annual Budbreak Festival for the release of our 2018 Rosé of Merlot! Melanie will be pouring our newest Rosé along with a selection of international Rosés for a special tasting. Select local vendors will also come out to celebrate this very special weekend. The Rosés featured in Melanie’s tasting will be available for purchase, alongside the 2018 Rosé of Merlot.